Announcement Come and shop in person at Makers Market on Santana Row! October 14th and November 4th from 10-7. Eva Knox Jewelry is designed and handmade with love in my home studio in California. My designs are contemporary with bohemian influence that will stand the test of time. My materials are chosen with care and my creations are never mass produced and are often one-of-a-kind. I look forward to providing you with quality pieces you can enjoy for years to come. Come and shop in person at Makers Market on Santana Row! October 14th and November 4th from 10-7. These earrings are fabulous! I bought them for my step-daughter' s wedding next month, but I can't wait that long to wear them! They are gorgeous! 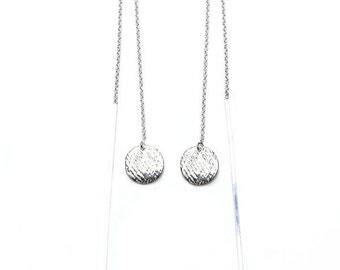 Subtly elegant; they make great gifts. Lightweight, pretty, and high quality. Came without rubber backs, but havent had a problem with the earrings staying in. Shipping was slightly delayed, but the seller was very good about communicating. Thanks! 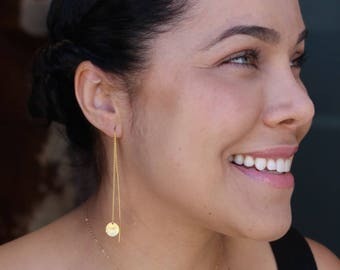 Don't forget about are stunning yet simple gold earthreads. 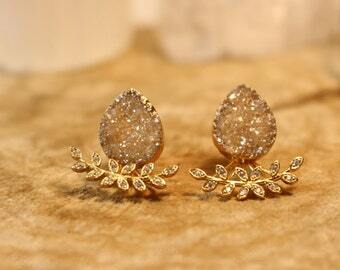 Check out the sparkle in these champagne druzy studs! 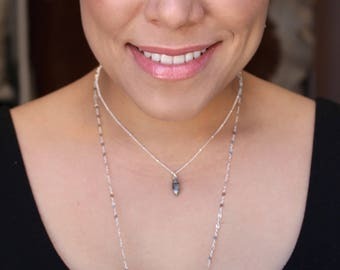 I love making jewelry and unique pieces that can be enjoyed by everyone, no matter what your style. My designs are inspired by whatever colors and styles I love most, at the time. So nothing is ever massed produced. 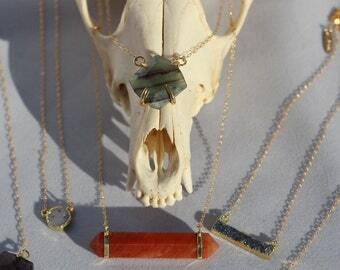 I love the mixture of items found in nature and mixed metals. Hire us for your private events or parties! Just send us a private message (conversation) I would love to help you host! Everything is handmade in my home studio in the Northern California Bay Area. I fall in love with projects, objects, music and styles at a rapid rate. I have had a love for art and design since a very young age. Although I set my creative talents aside during my day job, I still take the time to create items I love in my free time. My ever evolving style is reflected in my Eva Knox creations. Eva Knox was inspired by two of my style icons, Eva Perón and character Mallory Knox. My collections are a juxtaposition of my polished side and my bohemian, yet edgy side. Opposites attract these very different styles and lead to a cohesive collection of everyday minimalist layering jewelry meets boho luxe. The items I craft for Eva Knox are driven by various inspirations. You can observe my creative process in my blog, at https://evaknoxjewelry.com. My collections include everyday classic pieces, limited quantity items and one-of-a-kind pieces. 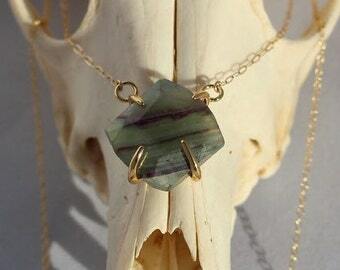 I work with an array of items, including vintage findings, custom pieces and semi-precious gemstones. I fall in love with projects, objects, music and styles at a rapid rate. I set my creative talents aside during my day job and create items I love in my free time. Eva Knox is a juxtaposition of my minimalist side and my bohemian side. 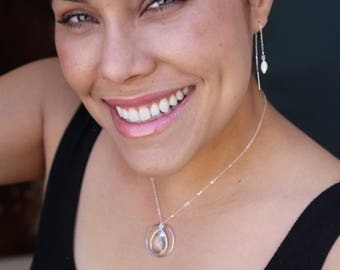 Eva Knox Jewelry is designed and handmade in the home studio of Jennifer Negrete in the San Francisco Bay Area. Our materials are chosen with care and our creations are never mass produced and are often one-of-a-kind. We have just begun to use our Etsy shop but we are an established business. 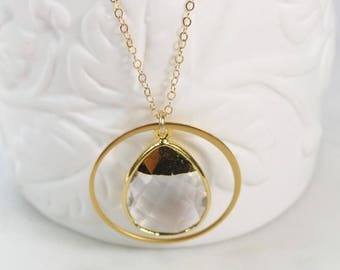 For more information visit our website Evaknoxjewelry.com or our Facebook page. I look forward to providing our new Etsy customers with quality pieces they can enjoy for years to come. If for any reason you are not satisfied, please convo me before giving negative feedback. I will do whatever I can to make sure you are happy with your purchase. If your Eva Knox piece should need repair please convo me and I will do the best that I can to accommodate you. Thank you. We accept Etsy gift certificates, Pay Pal and major credit /debit cards. All payments must be received before items are shipped. All items (except custom orders) will ship from the Bay Area in California via USPS within 3 days of placing your order. In a rush? I know the feeling! Covo me and I we can discuss alternate shipping methods and pricing. Eva Knox uses a variety of materials, some of which are sensitive to water, chemicals and moisture. Most items are handmade and delicate. I also love brass and I use a lot of it. The color of brass can change with time and exposure to certain elements. I suggest storing your items in jewelry bags to preserve the original finish. Please refer to each listing regarding materials used and how to care for those items. Can I get a different sized chain? Of course you can! Just send me a message before checkout. Are your gemstones ethically sourced? My gemstones and druzies come from two sources that I have been using for years and know well. One is in India and the other Brazil. Is your jewelry made in the USA? My gold filled products and sterling silver are cast and created in Los Angeles. I design and create all pieces in my Bay Area home studio myself. Can I get your products in any stores?